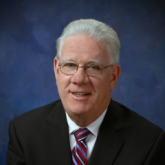 Tom has been an active member of the National Academy of Elder Law Attorneys since 1992. In addition to being admitted to practice law before the Massachusetts Supreme Judicial Court and the United States Supreme Court, he has been admitted to practice pro hac vice in the following United States Federal Courts: U. S. Bankruptcy Court for the Eastern District of Pennsylvania (Philadelphia, Pennsylvania); U. S. District Court for the Eastern District of New York (Long Island, New York); and the U.S. District Court for the Eastern District of Virginia (Alexandria, Virginia). Quincy attorney Thomas R. Mullen may help you obtain Medicaid without spending down most, if not all, your hard-earned lifetime of savings. Most people are unaware of this option, and this is why Tom dedicates himself to helping seniors preserve their assets. He has been an attorney for over 30 years; and he has nearly 20 years of experience using the available techniques and strategies which allow seniors in nursing homes to protect their assets and keep their homes. For married couples, Tom has been known to reduce the payment to a nursing home from an average of $13,000 to $1,500 per month—often less—even if one of them is already in a nursing home! In addition, if you are not in a nursing home, you can still give money away despite what well-intentioned friends or professionals may tell you.